Activated carbon is one of the most effective and safe drugs for the treatment of poisoning, bloating, digestive disorders. But is it possible to take it during pregnancy, not whether it carries a threat to the health of the fetus or mother? Should I take the coal or it is better to steer clear of? 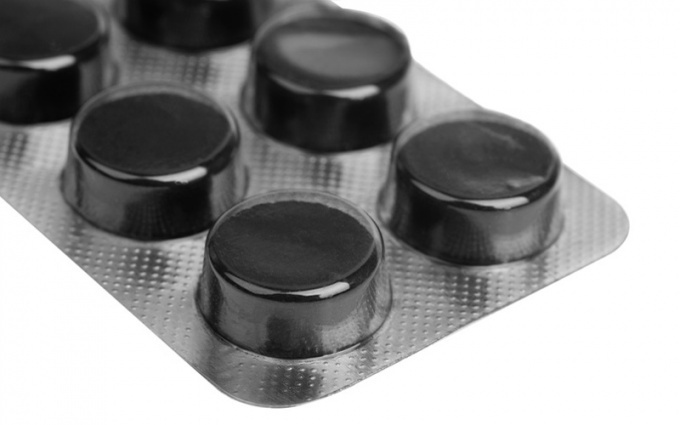 In every home medicine Cabinet there are a couple packs of activated charcoal. This is the very first treatment for food poisoning, colic and problems with digestion. Coal is a virtually harmless drug, it works as an adsorbent: absorbs all poisons, pathogens and toxins, and then outputs them along with the feces. However, during pregnancy even absolutely harmless drugs cause in women suspicions. So is it possible to be treated with activated carbon during the period of waiting for a baby, not it will bring harm to the fetus or mother's body? For every ailment of the pregnant woman before taking medicines should consult a doctor. A lot of drugs prohibited to assign pregnant women. With activated charcoal the situation is slightly different. In case of poisoning spoiled food or colic, you can take the coal without the fear that he'll hurt the baby. When ingested, drug coal due to its porous structure absorbs from the intestines all the toxins, and then after seven hours brings them out from the mother's body along with the feces. Blood charcoal is not absorbed, and hence will not get into the placenta, thus won't hurt the fetus. On the other hand, if food poisoning does not make the adsorbent, toxins, poisons and other harmful substances penetrate the bloodstream and can adversely affect the baby. Therefore, it is recommended in case of poisoning call a doctor and eat a few tablets or capsules of activated charcoal, drinking their glass of water. For pregnant women dosage of the drug is not different from dosing for other people: one tablet per ten pounds of weight. Heartburn, nausea, increased flatulence is also possible to use activated carbon, and a half-two grams of the drug. Long-term acceptance of coal can lead to leaching of the intestinal microflora, as with the poisons and toxins charcoal adsorbs vitamins, minerals and beneficial bacteria. It is recommended to take charcoal during pregnancy, only as needed. It is desirable at this time to take vitamins, but the gap between the consumption of charcoal and vitamins shall not be less than three hours. Some pregnant women sometimes strongly drawn to coal. In this case it is not necessary to zealously resist, it is better to eat one or two pills and calm down, in such a small quantity it is unlikely to cause harm to the body. Of the side effects of activated charcoal can manifest constipation or diarrhea. Long-term use appears hypovitaminosis. In addition, Kal takes the black color, this is quite normal, so do not be afraid. Activated carbon will surely help pregnant women cope with poisoning, heartburn, bloating, but they should not be abused, otherwise you can Deplete your body. Take the coal wisely and preferably only when necessary!